One powerful man . . .has always controlled this small Southern town. Unchallenged, until now. Like everyone else in Cane Creek, Mississippi, Chantry Callahan grew up in the shadow of town boss Bert Quinton. Quinton held the lives of local people in his harsh grasp, never letting go. He knew where all their secrets were buried, along with the bodies of anyone who had dared to defy him. As a boy, Chantry couldn’t best Quinton. Couldn’t protect the people he loved, including his own mother. But now Chantry is grown. He’s come back for answers. And for justice. The Comanches did her a favor when they killed her loutish husband on her wedding night. But now this Southern belle is the possession of a fierce, blue-eyed warrior called Hawk . . .
Zach Banning, known as Hawk among the Comanches, is caught between two races, two cultures, two lives. Deborah Hamilton is a Mississippi beauty who came to the Texas territory for an arranged marriage. Little did she know, her new husband’s people have earned the Comanches’ hatred. They enact their vengeance on her wedding night, kidnapping Deborah along with other women and also the settlement’s children. She expects the worst at the Comanches’ village, but instead finds kindness alongside the challenges. But when Hawk barters her away from her owner, intending to seduce and possess her, Deborah finds herself in a battle of wills laced with deep desire. He took her captive. She stole his heart. Once an outlaw, always an outlaw? Has Caitlin returned to her old ways, despite marriage and motherhood? Can Jake rescue her before she’s lost forever? Even after seven years of marriage and four children, he still had the power to make her body tingle and her senses reel. There had always been that between them, since the first time they’d met. It was what had kept them together in the beginning, even against incredible odds. And now—now she wasn’t certain that attraction was enough anymore. There were other things that mattered, unanswered questions that circled in her mind and destroyed her peace. She had to get away for a while to think things through. Caitlin Lassiter tearfully boards a train with hers and Jake’s children in tow, planning to spend Christmas with her brother, Devon, and his wife, Maggie. Then fate throws an old enemy in her way—Charwell, a fellow bandit from her lawless years. 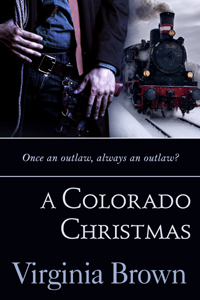 He’s boarded her train to rob the passengers, and when he recognizes “Colorado Kate,” he kidnaps her to help him pull off some bigger jobs. Now it’s up to Jake, Devon, and Maggie to find her before the Law does, because it certainly looks like Colorado Kate has gone back to the wrong side of justice. Destiny brought them together in Spanish California. She is a New Orleans lady with a defiant thirst for adventure. He is a New Orleans scoundrel with a talent for seduction. 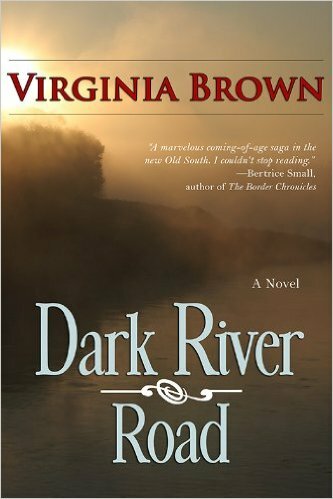 Hot-tempered belle Laurette Allen gets more than she bargained for when she leaves the stifling confines of polite, southern society for the wilds of 1830s California. 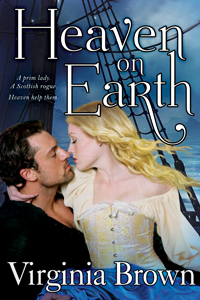 At her very first fiesta, she is nearly seduced by notorious Cade Caldwell, a fellow Louisianan whose reputation for swordplay is only exceeded by his skill with women. But soon Laurie’s attention is consumed by threats to the local villagers, who are suffering under cruel tax collectors. If only there were an avenger brave enough to sweep in with blade in hand . . . a brave soul trained at riding and dueling, just as she is . . .
Cade’s desire for beautiful Laurie Allen is tainted by his memories of betrayal by another southern belle; he learned a hard lesson about trusting Laurie’s type. He wants to possess Laurie, to own her body and soul but not to love her. What is the hint of danger around her? Cade suspects his competition for her affections might just be El Vengador—The Avenger—the masked rider who’s been stealing from the corrupt tax collectors. But is The Avenger her partner in crime, or does Laurie need his protection? He could not forgive her deception. She could not resist the desire they shared. When a scandal forces them to marry, their passions lead to dangerous secrets. Deverell regarded his beautiful bride dispassionately. He had begun to think—hope—he could find in her what he’d never had before. That had disintegrated into ashes when she tricked him into marriage. Now, the wedding breakfast done, the revelry just beginning, she gave him a nervous glance from where she stood near the arbor. He returned her gaze, took note of the wreath of baby’s breath and pink roses atop her head, the Belgian lace train cascading from her shoulders and draping loosely over her bare arms before falling to the hem of her gown, and felt nothing. She was beautiful; fairy-like; virginal. Deceitful. A changeling, he told himself. She’d undergone so many transformations since he’d first met her that he wasn’t certain who she really was. Except that now she was his wife. Deverell excused himself from Craven and strode to his bride; saw her instant wariness as he approached. The past fortnight had not endeared him to her, no doubt. Fitting enough, he supposed, since her actions had not endeared her to him either. Apart from the others, she tried to pull her hand free but he held it firmly. She flicked a glance at him from beneath her lashes, a maiden’s trick that had never worked on him. He’d had ample time to study the female strategy. Yet he had still been conquered by treachery. A galling admission of defeat. Shipping heiress Summer St. Clair flees from an arranged marriage only to end up penniless and alone in the unfamiliar streets of London. Her ordeal turns into a different type of challenge—one even more frightening—when a dangerously handsome rogue offers his protection. Jamie Cameron pledges to be Summer’s chivalrous knight . . . but he secretly longs to possess this woman of beauty and spirit. Carefully planning the ultimate seduction, he never expected her innocent charms to pierce his armor and expose his lonely heart. From London’s bawdy back alleys to the wild Scottish Highlands, Summer and Jamie wage a thrilling tug-of-war. Yet even as she succumbs to his fiery touch, Summer keeps a dangerous secret, a secret that might shatter the deep love that has grown between them. A dangerous ocean voyage . . .
Straight-laced teetotaler Elizabeth Lee and roguish Scotsman Kincade MacKay are bound for the American frontier on the same storm-tossed ship—and it’s not big enough for their battle of wills. Two star-crossed strangers . . . He won’t stand for her lectures on the evils of hard drinking, and she won’t bear his troublemaking ways. Yet she can’t stop thinking about him, and he can’t resist the thought of kissing her until neither of them can remember what they’re fighting about. A guardian angel playing Cupid . . .
Tabitha helps them survive the journey, but once the mismatched couple reach shore, still at odds and battling their passions, even an angel will need some help . . .